i am using word press plugin Facebook likes you, but when i click on like or send button its taking right title but wrong description. see the picture attached. i have disabled word press comment and also Hide allowed tags in comment form. also tried new like plugins. can you help me i am facing this issue from long time but not found solution in Google also. BTW, where is Kannada SMS Messages? Thanks Prasanna, i am now using WordPress SEO by Yoast. and its great plugin. My site showing 6850 results in Google search when site:http://hindi-marathi-sms-messages.in/ where post are only 400.
will this cause duplication issue. why this happening? is my robots.txt OK? or how can i show only 400 results in Google. how can i avoid duplication in word press? 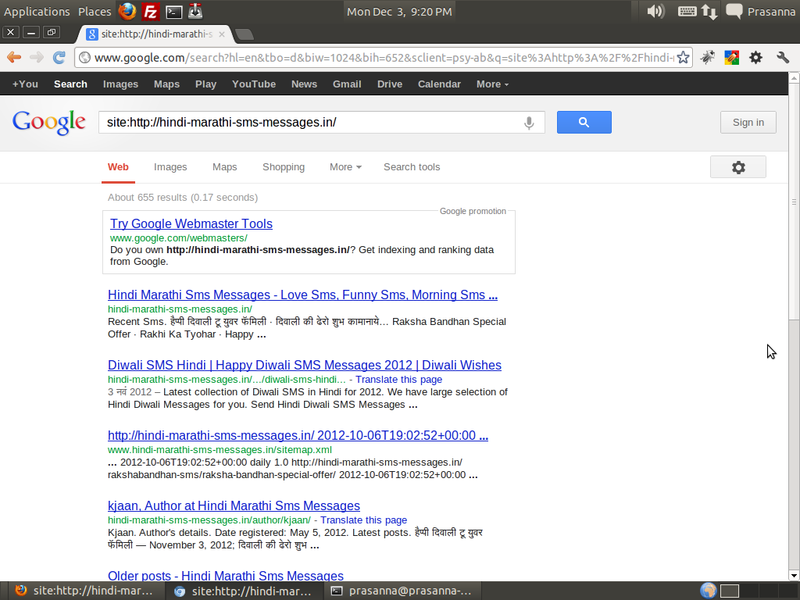 my site has only Hindi Marathi sms, but will start Kannada sms also after http://hindi-marathi-sms-messages.in/ success. 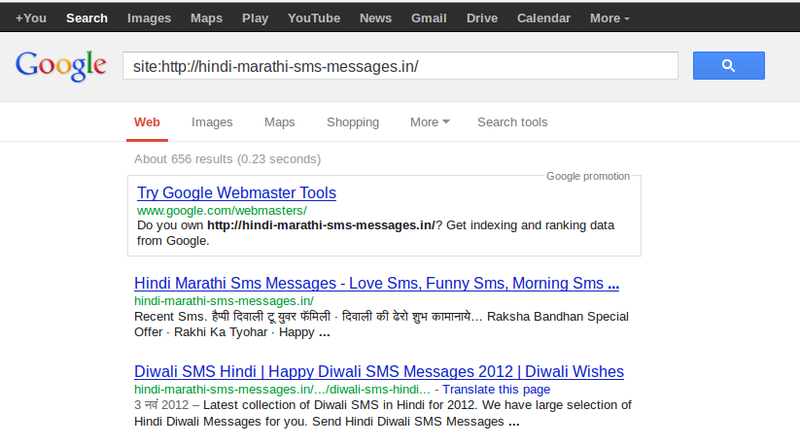 A Google search for site:http://hindi-marathi-sms-messages.in/ will return only about 656 results. So, only around 256 other links. If you are bothered about duplicate post, you can turn off yearly, monthly, category and tag archive in WordPress SEO settings page. Go to Titles & Metas –> Taxonomies and select noindex, follow for Categories and Tags. Then click on Other tab and do the same for Author and Date based archives. Additionally you can completely turn off Author and Date based archives. This will 301 redirect to homepage. Okay, here is Google search screenchot. i swear Google had been showing me 6000 above results from last few months, but i think its re crawled my site and now showing 656 results. Great. i don’t know how this happened, its could be due to search term tagging plugin that i was disabled few days ago.but thanks for your support. 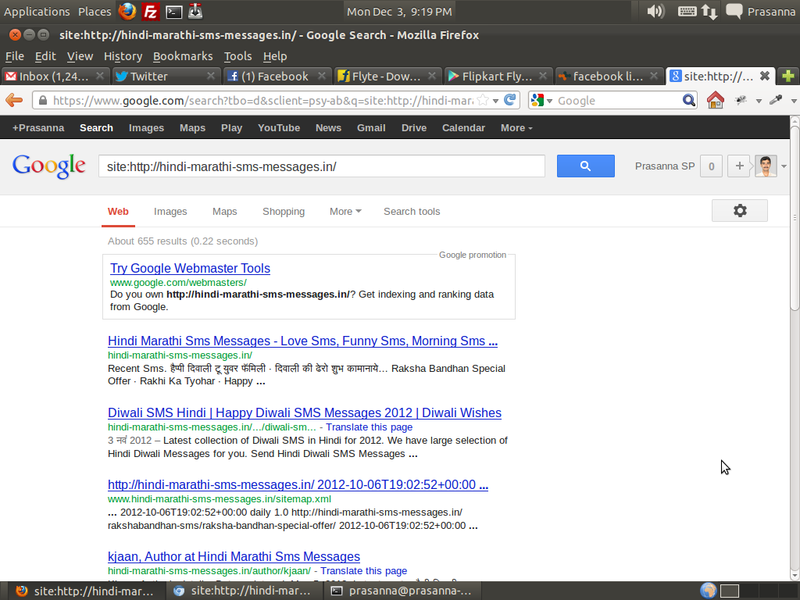 sorry to say but when i checked again its showing me above 6000 results. i have checked in three different browser by clearing history also. prasanna can u please help me in this problem?